Aahan (man on right) was once bedridden from debilitating diseases. When he began to read a New Testament he received from GFA-supported pastor Dakshi (man on left), his faith grew to believe God would heal him. Aahan read the promise from God’s Word, “Ask, and it will be given to you; seek, and you will find; knock, and the door will be opened to you” (Matthew 7:7). These words went deep into his heart. It was a word from God that Aahan needed as he laid in bed, too sick to get out. Why Was He Not Getting Better? Years ago, Aahan had become mysteriously sick and weak in both legs. He couldn’t move out of his bed because he had lost so much strength. Then there was the severe pain in his stomach and chest and the unusual swelling. Aahan’s health was at risk— and so was his family’s survival. Because Aahan couldn’t work, which meant no money was coming in, his family was on the brink of starvation. Aashi, Aahan’s wife, took up the mantle of family breadwinner and began working in the fields for her family. But it was not easy to look after Aahan and their three young children—the youngest of whom was only 1 year old— and also earn enough to put food on the table. Aashi took her husband to multiple medical facilities to see if doctors could figure out what had happened to her husband, but the diagnoses had the doctors boggled: They found Aahan had multiple illnesses. Even though the doctors gave him medicine, nothing seemed to bring Aahan healing. 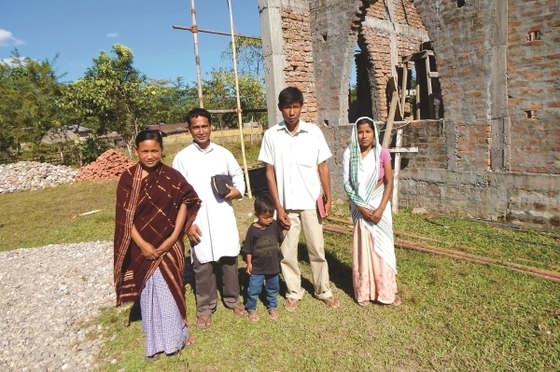 Then one villager recommended Aashi take her husband to the church led by GFA-supported pastor Dakshi, which she did. Will He Ever Find Healing? Pastor Dakshi started visiting Aahan in his home and praying for his healing. Knowing that God’s Word is powerful and His promises bring encouragement, the pastor offered Aahan a New Testament for him to read. This gift of God’s Word was made possible because of supporters like you. The Word of God deeply touched Aahan during his time of sickness. He firmly believed God would answer his prayers for healing—and He did! After that day, Aahan read the New Testament and was greatly encouraged by what he read. He determined then to persevere in prayer because he believed God would hear his prayers and grant his request. Seven months later, Aahan was miraculously able to walk again, having been given strength and healing in his legs and body by God. Aahan also bought complete Bibles for all the members of his family so they could grow in their newfound faith. 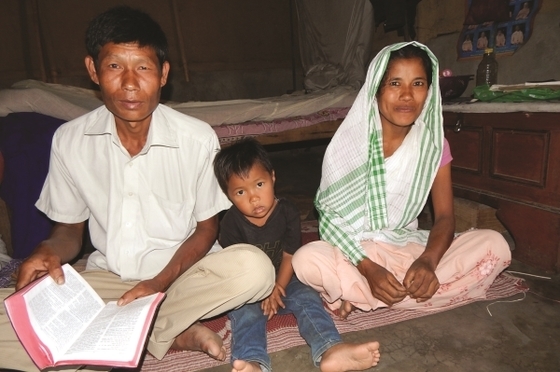 Because of a New Testament, one family’s life was transformed forever. Aahan was healed of sickness both physically and spiritually.